Allostasis: the Secret Role of Stress. This discovery tells us how our brain “resets” our mental thermostat in ways that explain PTSD, anxiety and depression. More importantly for educators, this understanding helps us understand student behaviors such as anger, apathy and reluctance to change habits. When staff has allostasis, behaviors don’t change! You’ll get BOTH the science and the solution to this pesky problem. Emotional-Cognitive Links. Learn what the science tells us about the percentage of overlap between emotions and cognition. Find out how the brain responds to negative emotions and why positive ones can facilitate more motivation and change. Neuroplasticity: How Student Brains Change. This principle says that the brain can rewire itself and remap the very boundaries as well as add and even take away gray matter based on experiences. 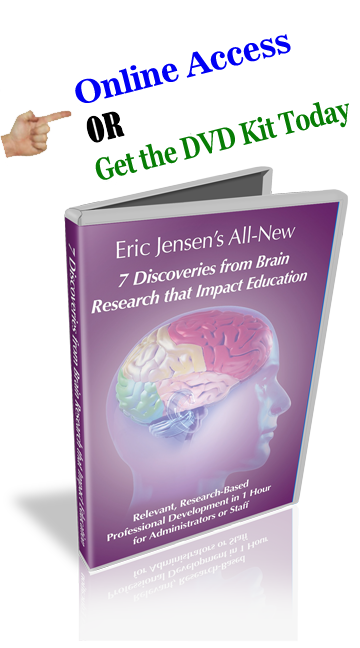 Teachers need to know that the way they teach can either BUILD UP or reduce brain size. Memory Malleability. Here we uncover a key to our memory; they are NOT fixed like a “file” in a file cabinet. In fact, they are more like a digital file that can be corrupted when retrieved or alter once it is retrieved. In the classroom, teachers need clear strategies to help reduce the negative affects of this pesky problem and you’ll get them! Neurogenesis: The Science of Growing Your Brain. What teachers can’t see CAN hurt student achievement. A ground-breaking discovery revealed that humans can and do grow new brain cells. This process regulates our cognition, mood, memory and even weight control. But more importantly, in the classroom, the WAY teachers teach can either enhance or impair the production of student’s new brain cells. This shows us just how much more influence teachers have than they thought. Social Neuroscience: How others affect our brain. We’ve all known that others can make us feel better or worse, but the new science goes MUCH further. This new discipline reveals that the friends we keep (or don’t) can influence our brain so much, that brain scans show increases or decreases in gray matter! Teachers will learn the new value of class friendships, teams and collaborative work. Gene Expression: Why DNA is not Your Destiny. Our genes contribute about 30-40% of who we are. But new science now tells us that the environment affects our genes to either help “switch on” or “switch off” the expression of individual genes. In short, the way teachers teach does more that help them learn their content. Teachers are sculpting their student’s brain by orchestrating a complex “switchboard of decisions. Staff will find out that they have MUCH more to do with how students turn out than they thought. This is VERY exciting news! Each of the topics above is explained in simple, everyday, lay-person language. 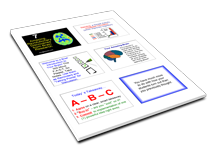 Each of these core principles have clear effects on the student’s brain. And, a classroom teacher can gain clarity, motivation and even strategies to use the very next day. Both theory and practical strategies make this worth any educator’s time. This powerful 55-minute session is more than just science; it about the empowerment of teachers by understanding that they affect students in many ways they never, ever though of before. Brains can change and this short video shows who can do it, how to make the changes and how much of a difference it can make. What a gift this is, for any staff to have! The content on this video is fresh, relevant and powerful. Use this a theme for an entire school year. Allow staff to pick just one of the 7 topics and weave it into their teaching. Use this to augment existing instructional strategies. This will show teachers WHY something needs to be done a certain way. The bottom line from this session is simple: BRAINS CAN CHANGE (IF YOU KNOW HOW TO DO IT)! In person, professional development can cost you thousands. You can find online, professional development for hundreds of dollars. Yet, even the regular price for this downloadable (and reusable) professional development session is $139. But we know you’re on a tight budget, so you’ll get our BEST PRICE EVER! So, while you can still get it at this money-saving price, use your credit card and click on the easy pay button below. BONUS: Order today and you’ll get instant access to a BONUS PDF handout so that all participants can follow along and take notes. I want to get top quality help, get our staff on board this year and start seeing results F-A-S-T. 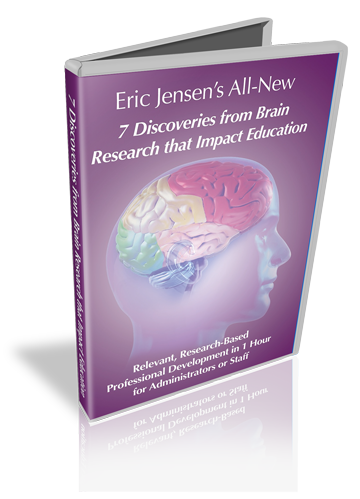 I am interested in finding out how to bring Eric Jensen to our school.